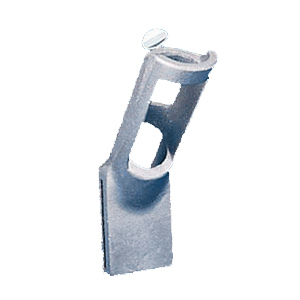 This WS-100 Wall Shield Bracket is made of a silver aluminum material. This item is designed to hold a 1 in. diameter pole, and will display the pole at a 70 degree angle.